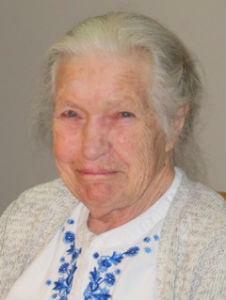 Marilyn Heddle (nee Buchanan) died peacefully at the age of 91 on Friday, January 12th in Vancouver, BC. She was predeceased by her husband Duncan Walker Heddle, as well as by her only brother Theron Buchanan. She leaves behind her four children Libby (Les), Peggy (Jim), Murray (Fran), and Kathleen (Mike) and was a much-loved Grandma Boo to her eight grandchildren: Katie, Courtney, Kristyn, Eric, Sean, Robby, Lyndsey and Mac. She will also be missed by her brother Theron’s children Alice, Ann, Terris and Glee; and by her husband Duncan’s four nieces Elaine, Joan, Susan and Sharry. Marilyn was born in 1926 in the city of Moose Jaw, Saskatchewan to Carson and Willa Buchanan. She spent her entire childhood there along with her younger brother Theron. As a young woman, she studied at the University of Toronto, where she graduated as a registered dietician. On a train trip to BC with her mother, she fell in love with the Kootenays, and soon after applied for a job at the Trail hospital. While working there she met Duncan Heddle from Nelson, BC. They married in 1956 and settled in Trail, where they started their family, later relocating to Vancouver. Marilyn created a wonderful home for her four children; she was a fantastic cook and there was always the smell of fresh home baked bread throughout the house every Monday. She kept busy supporting her family in all their various endeavors, while also pursuing her own talents in sewing, crocheting and knitting. She was an avid gardener, creating a true sanctuary of flowers, fruits and vegetables in the backyard on West 14th. Her beloved dogs – Pixie, Bambi, and Maggie – were also close to her heart. As per her wishes, no service will be held. In lieu of flowers, consider a donation to the charity of your choice. after she moved to Yew St. So sorry to hear of your loss. Great moms are always sorely missed! Condolences to all the family, though a special hug to Peggy and Libby. Dear Libby, Peggy, Murray, Kathleen and families. I was saddened to read about your mother’s passing. I still remember her as a very caring and supportive mother during your school years at Lord Tennyson. She was extremely proud of all of you. My last contact with the family was talking with Kathleen at the UBC President’s home when she received her honorary degree. I still have fond memories of each of the Heddle family and hope that you are all well. Marilyn and I met for the first time when Libby and my son Les got married. We instantly became fast friends. Later, a new dimension was added, when Libby and Les had children, and we became joint grandmothers.I will miss her and remember her with the fondest of memories. My thoughts are with you during this time, Libby,Peggy, Murray and Kathleen and families. My very fond memories of your mother come by way of the 1970’s. Entering the Heddle household to take in the smells of the wonderful homemade bread baked by your mother is a memory that I have and will always cherish. A lovely lady and mother. May your memories of her wonderful life comfort you all. I had the privilege of assisting Marilyn with the sale of her Kits home and she was an absolute joy to do business with. Like most Kits moms, she loved talking about her kids and grandchildren and was proud of every one of them. I know that she will be deeply missed and I feel fortunate to have reminisced with her about the good old Kits days and all of her children’s many accomplishments. My heartfelt condolences to her family. Very sorry to hear of your loss. I know that Marilyn was a steady mainsail in your family and you will miss her. You have given such a beautiful goodbye to a remarkably beautiful person. I cherish my memories of your mom. And, I am heartbroken for you and your families. It is always sad to lose a Mom. My best to family. I did not know Marilyn. I think I met Duncan and Marilyn a long time ago. My uncle Lisle Jory (a geologist ) used to ride the bus with Duncan, they worked in the same area in Vancouver.